Historically, Anabaptists have considered the Scriptures as the authoritative Word of God, and insisted that Christians must always be guided by the Word, which is to be collectively discerned. Columbia Bible College (CBC), now an inter-Mennonite (Mennonite Church British Columbia and British Columbia Conference of Mennonite Brethren Churches) institution, is the inheritor of that well-entrenched Bible training tradition which at various times included nine Mennonite Bible schools in British Columbia. The more immediate predecessors of CBC were two denominational schools, the Mennonite Brethren Bible Institute (MBBI) and Bethel Bible Institute (BBI). During the decade of the 1960s both MBBI and BBI were experiencing significant stresses including sharply rising operating costs, aging facilities, declining enrollments and the student clamor for a more satisfying, relevant learning experience. The Conferences responded with several study sessions in which the future of these intuitions was sharply debated. On 2 May 1970 the Mennonite Brethren Conference of BC and the Conference of Mennonites in BC entered into a five-year working agreement to operate one school. The agreement stipulated that the buildings and the Administration were to remain in the hands of the Mennonite Brethren; however, Conference of Mennonite members would be represented on both the board and faculty. The curriculum was to include sufficient courses to include the denominational needs of both Conferences. Moreover, the school was to foster an evangelical Anabaptist emphasis with a strong loyalty towards local church ministries and a mission-oriented teaching program. In the first months, a working name for the new school was Associated Mennonite Bible Institute. By the end of the first academic year, the name Columbia Bible Institute (CBI) was chosen. 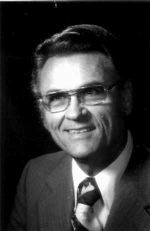 Peter R. Toews became the first president of CBI, serving in that capacity for 8 years. The partnership experienced early successes. Enrollment increased notably, so much so that by 1973 CBI experienced a record of 266 students. In 1975 a third year of studies was added to the curriculum and additional residences built. By the end of the decade, it was clear that the two conferences could work together, although the CBI working agreement had come under considerable stress. Consequently, a historic joint meeting of the Conference of Mennonite and Mennonite Brethren Conferences in 1982 resulted in a full partnership whereby the ownership and development of CBI would be jointly managed. Thus during the presidency of Roy Just the first fully fledged inter-Mennonite Bible institute in North America was established. An ambitious future for CBI was spelled out by President Just in February 1981, including the granting of baccalaureate degrees, the offering of numerous continuing education courses, the establishment of a Center for Missions, a Christian Counseling Center, and as well a Center for Mennonite Studies. Further significant institutional maturing was shortly to follow, resulting in the upgrading of the school into college status. Such a major change called for some crucial internal upgrading, namely the formal application for accreditation with the American Association of Bible Colleges. Further, at the request of the Administration, the CBI Society approved a third year program and the granting of a Bachelor of Religious Education degree in the fall of 1984. Two further far-reaching developments occurred in 1987. Under the presidency of Walter Unger, the CBI Society approved renaming the school as Columbia Bible College. In the same year, college status for CBC was legally approved with the passing of the Columbia Bible College Act on 26 June 1987 in the B.C. Legislature, whereby the College was authorized to grant theological degrees. During the early 1990s CBC also gained full accreditation with the Accrediting Association of Bible Colleges (Now the Association for Biblical Higher Education). Other successes included achieving government certification for the Early Childhood Education Program and the beginning of an Outdoor Leadership major. By the end of the decade a confident College was offering baccalaureate degrees in eight majors with a student enrollment approaching 400. Satisfaction inventories confirmed that the College was convincingly meeting student needs. Equally important, the supporting constituency was rewarded for its investment in that approximately 50% of graduates worked in fields related to their major at CBC. Graduates serve around the globe in a great variety of church and mission ministries. Over the past two decades, energetic campus development resulted in the building of a modern, automated library, a state-of-the-art gymnasium, and a student center as well as a residence. In 2009 CBC employed the full-time equivalent of approximately 60 staff and faculty members, serving a student population of 530, about two-thirds of which came from non-Mennonite traditions. The college offered 6 majors at the baccalaureate level, 7 majors for the two-year diploma and 4 options for the 1-year certificate. ABC Self-Study Report: Five Year Review. Abbotsford: Columbia Bible College, 1996. Born, Hilda. Columbia Bible College: Growth In Wisdom and Service. Matsqui, B.C. : Hilda J. Born, 1992. Columbia Bible College Self-Evaluation. (Clearbrook, B.C. :, Columbia Bible College, 1989). Giesbrecht, David. "Mennonite Schools in B.C." Mennonite Historical Society of B.C Newsletter 5:5 (1999). Giesbrecht, David. "Columbia Bible College (Abbotsford, British Columbia, Canada)." Global Anabaptist Mennonite Encyclopedia Online. February 2018. Web. 22 Apr 2019. http://gameo.org/index.php?title=Columbia_Bible_College_(Abbotsford,_British_Columbia,_Canada)&oldid=163811. Giesbrecht, David. (February 2018). 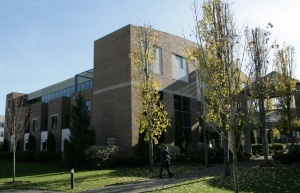 Columbia Bible College (Abbotsford, British Columbia, Canada). Global Anabaptist Mennonite Encyclopedia Online. Retrieved 22 April 2019, from http://gameo.org/index.php?title=Columbia_Bible_College_(Abbotsford,_British_Columbia,_Canada)&oldid=163811. This page was last modified on 8 April 2019, at 19:19.